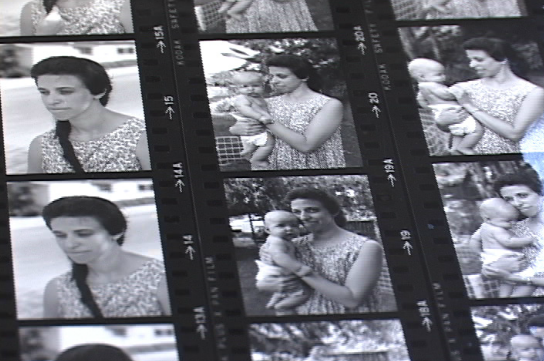 Cultural ReProducers presents the second in a two-part series on filmmaker Mary Trunk’s documentary ‘Lost in Living,’ which captures the joy, exhaustion, and the many conflicts that arise as a result of being both mother and artist. Part one featured a review of the film paired with a free online screening. For part two, artist Christina LaMaster follows up with Mary for a conversation about documentary, motherhood, and making art. You can find the full, unedited version here. Mary Trunk started as a painter, became a dancer and choreographer and has been making films for almost 20 years. She spent seven years filming four mother/artists for her most recently completed feature length documentary Lost In Living. The currently released short documentary The Past is in the Present is about the Pulitzer Prize winning composer, Gunther Schuller. Her newest hybrid documentary project focuses on memory, age and the desire to keep dancing in some form or another. Mary and her husband are founders of Ma and Pa Films, a video and film production company. Mary also teaches film and video at Art Center College of Design, Loyola Marymount University and Mount Saint Mary’s University in Los Angeles, CA. She lives in Los Angeles with her husband and daughter. Find out more at www.maandpafilms.com. Christina LaMaster: Mary, are you familiar with independent curator Susan Bright’s recent traveling exhibition, “Home Truths?" If so, what was your reaction to the show - both conceptually and to the photographs included? Mary: I saw some of Susan Bright's work on-line but did not see the actual show. I hesitate to comment on it, but I will say that a few of the photographs definitely intrigued me. I have a little bit of an issue with photos that seem staged to me. Being a documentary filmmaker, I guess I prefer more veritè type work--when one is capturing a moment. Much like what we try to do with our children as they grow. Too often we miss the moments and only have the memories that morph into something that isn't what really happened but what we hoped happened. Memory and photographs are incredibly intriguing to me. I will probably buy her book because it looks wonderful. project,“Maternal Instincts” started with my desire to portray a more realistic idea of motherhood. 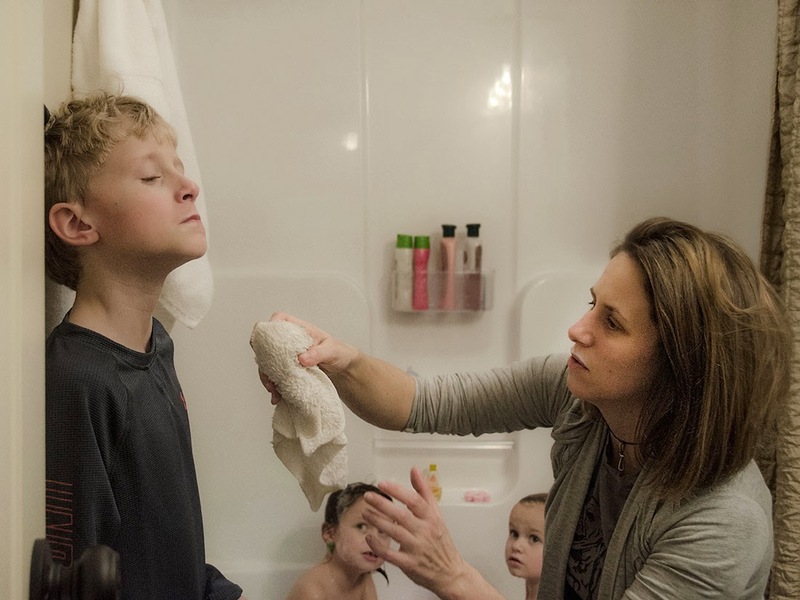 These photographs are also documentary in style, and my intent was to photograph interactions between mothers and children. During the course of the project, I realized that all photographs are constructed to some degree, as I the photographer am constantly making choices influenced by my own personal experience. The body of work ultimately was as much about me as it was about motherhood and mothering. To what extent do you think the making of Lost in Living was influenced by your personal experience as a mother? Is this something you considered while you were making the film? Mary: It’s true that all photographs, all films, are constructed. As soon as you point the lens toward something you are making a decision about how you see what your are pointing at. There’s no getting around that. And in many ways that is the subtext of the piece you are trying to make, which can often be more interesting than the super conscious ways we go about structuring our work. That’s when real discovery and challenge takes place, at least for me. I want to be involved in my work in such a way that it asks more of me than I think I can produce. Everything in all of my films is about what I managed to capture and that is where my point of view comes through. It was often surprising to see where I directed the camera. Why there? I didn’t figure that out until I was able to really watch the footage and figure out what kind of film I was going to make. I started Lost In Living because I was immersed in my personal experience as a mother and yet I felt lonely and ill-equipped. So I sought out other women who I could relate to. I was surrounded by mothers with toddlers but I wasn’t getting much out of just hanging out playing with our kids. I really wasn’t. I desperately needed to focus on it in a way that made it art, and that’s why making the film was so satisfactory. 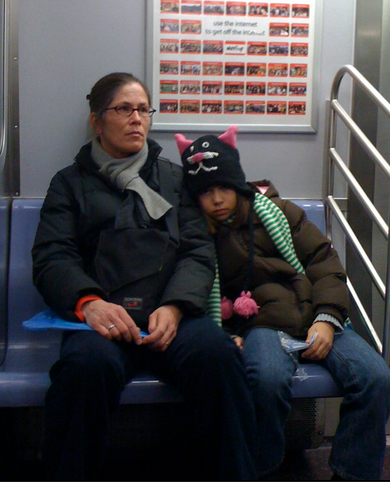 Christina: Do you have any opinions about why some mother/artists make work about mothering, and some don’t? Mary: My opinions are purely based on my own experiences so I can only comment on that. I would guess that some women are so immersed in the mothering experience and possibly have such a need to create, that they have to use what they know - which is parenting and dealing with a child. I was more interested in the experiences of parents and what my peers were feeling about suddenly having the full responsibility of a person who was so helpless. I would say that the newness of becoming a parent is so intense and sometimes traumatic, that if you have the desire to express yourself you can't help but use that as material. Some use it well and some, to me, get self-indulgent. There's a difference between making art that is more like a diary entry and making art that has universal and personal impact. I loved Anne Enright's book, Making Babies. She was so successful at writing about her own particular struggles and joys and at the same time all mothers could relate. That book and Jane Lazarre's book, The Mother Knot, were some of the best artworks about motherhood I have read. Christina: Was Lost in Living something you felt compelled to do--that you needed to express your experience as mother through your art, or was it a topic you thought would be attractive to an audience? Was it both? will end up being: the journey is what makes it what it is. Regarding Lost In Living, I had no idea it would take seven years and I didn't know what it would end up saying, I just knew I was learning so much and my subjects were teaching me things I needed to learn. Christina: You make the comment “most of the time, only mothers care about motherhood.” For I long time I thought this myself, but now I am not so sure. In the photo world over the past few years there has been a dramatic increase in work and exhibitions pertaining to motherhood. So much so that the director of a prominent gallery showing fine art photography recently told me she was “tired of the whole mother thing.” So, I guess I’m really curious about who actually is interested in work about motherhood. Is it only other mothers? If so, does this mean that there are simply more mothers that are making work and curating shows? Have you experienced this attitude about motherhood as you have promoted Lost in Living? Mary: How could someone say that she was “tired of the whole mother thing?? ?” That just pisses me off. We are all tired of films that blow things up, but they are still super popular and make a lot of money. I’m not even asking for money but my goodness, there will never be enough art about women, by women, and about motherhood for me. Sometimes I really think that we as women get satisfied too quickly with the exposure we are getting and we think that’s okay. I’m one of those people. I don’t really care that much about recognition and prefer personal connections anytime. But we live in a patriarchal society and we as women are just as biased as our opposite gender. We simply can’t escape our cultural influences. I was just listening to NPR the other day where Malcolm Gladwell talked about taking a test to find out if he was prejudiced against Black people. Turns out he does think more poorly of Black people than Whites. And he’s half Black. Our culture paints Black people in ways that are often terrible. That permeates our brains no matter who we are - even if we are Black. We are victims of our culture and we can’t always control behavior that is so beneath the surface of our consciousness. Which is all to say that we as women and mothers shouldn’t be satisfied with the meagre recognition of women’s art that is out there. We are so used to getting nothing that any little bit feels like a lot. That needs to change. Christina: I recently became acquainted with Sara Ruddick’s book Maternal Thinking: Toward a Politics of Peace, which is about mothering as a practice. In the book, Ruddick presents the idea that all the decisions a mother makes (not only those pertaining to child-rearing) are influenced by her practice as mother. As a visual artist, I wondered how this might apply to the concept of “gaze” and if there was such a thing as “maternal gaze.” It turns out there are many interpretations of this idea of Maternal Gaze, and they are often in direct opposition to each other. It seems to me that all work made by mother/artists would be influenced directly or indirectly by the practice of mothering, and that work made by mother/artists might best be viewed with a Maternal Gaze. It’s all quite complicated, and something I’m currently researching and writing about. My questions for you are: do you think that now that you are a mother, everything you do is influenced by this fact, including all the films you have made during or since the making of Lost in Living? Do you have any thoughts on Male Gaze or Maternal Gaze and how gaze might influence the perception of your films? Are these things that should be considered when making or criticizing work? that does not exclude those people who have lived through experiences that were quite different - illness, caring for elderly parents, climbing Mt. Everest, etc. They had life changing moments that influenced everything after that experience. by a mother or something that has a maternal gaze. 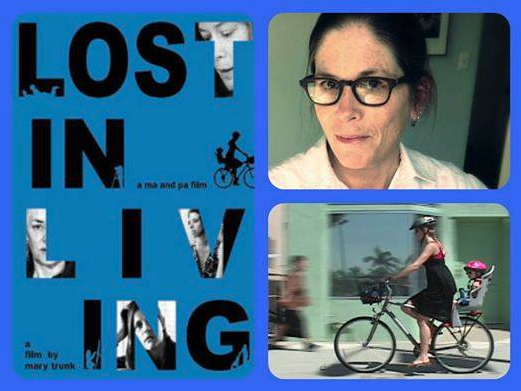 I made Lost In Living because I was compelled to seek out answers, to express something I didn’t know how to express without the help of the women in the film, and I knew they all had great stories that many people could relate to - mothers or not. I’d really like to know more about the different views on Maternal Gaze. 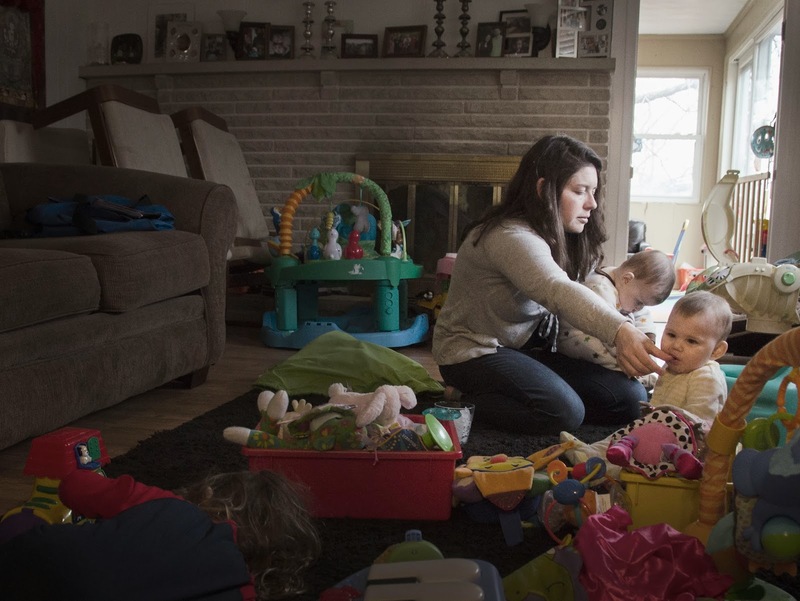 Why should the Maternal be something exclusive? I honestly think we are just used to it being in the sidelines that we don’t really recognize how little importance it should have in our lives. Christina: Mary, thank you so much for your time and for sharing your thoughts with me and Cultural ReProducers. I’ve really enjoyed talking with you! Mary Trunk’s bio and Lost in Living trailer courtesy of Ma and Pa Films. Christina LaMaster is a photographer, installation and video artist. A fifth-generation Nebraskan, she has spent most of her life in the Midwest, teaching and holding various program and administrative positions at museums and community arts centers. She now calls Central Illinois home, and recently earned her MA in Studio Art from Bradley University. She is particularly interested in women’s issues, motherhood and the idea of the “maternal gaze.” Chrissy is the mother of two college-aged children, and has spent the last 20 years attempting to find a balance between motherhood and art.